Instantly download this printable Glamping Party Backdrop or Sign that says “Attention All Campers: Do Not Feed the Bears”. Download links and instructions will be emailed directly to your inbox. 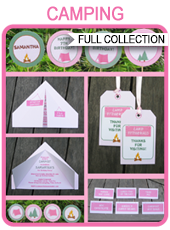 Download your Glamping Party Backdrop or Sign immediately after your payment has been processed.